You are about to take an important step in your life journey. 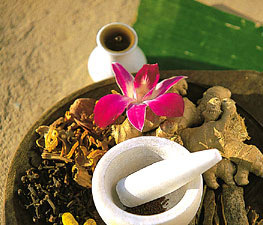 Ayurveda has been helping people achieve optimal health since the dawn of human history. Ayurvedic wisdom is profound, deep, and potentially life-changing. Ultimately, Ayurveda is a system of self-healing, and its effectiveness is based entirely on the extent of your dedication to making healthful life decisions and changes. At Shanti Ayurveda, our goal is to co-create with you a customized treatment plan for health and well-being. Generally, this journey takes 6 to 12 months, as balanced is restored to your body, mind and consciousness. Along the way, we will guide, support and assist you as you gain an ever-deeper understanding of your natural states of balance and harmony. Please download and print the Intake Forms and return to me 48 hours prior to our first appointment. If necessary, I will be happy to mail you the Intake Form. At this first appointment, I will spend approximately 1-1/2 to two hours with you, gathering additional information as I cultivate an understanding of your states of balance and imbalance. With this important information, I create a customized treatment plan specifically for you. Approximately one week after the Initial Consultation, we will meet again. At this meeting I will present an overview of Ayurveda, explain your individual constitution and your current state of imbalance, and will lay out my general treatment plan for you. I will also recommend healing practices for you to integrate into your lifestyle. If necessary, at this time you will receive a one month supply of a personalized herbal formula(s). Follow-up visits generally last 45 minutes to one hour. We will discuss your progress, review your symptoms and concerns, and integrate more lifestyle practices as appropriate. We will also evaluate the effectiveness of the herbal formula(s) and make modifications if needed. Follow-up visits are recommended every two weeks at the beginning of the program, and then they begin to taper off until they occur only seasonally. Although many symptoms improve quite rapidly, others take longer, depending on the length of your imbalance and your willingness to embrace the program. It is my honor and pleasure to guide and support you on your journey.